Some updates and comments will follow as sports, (maybe even the weather), begins to heat up, after Patrick Reed’s Masters golf win plus the NHL and NBA playoffs beginning this week. Yesterday, a pair of (8-7) games, one, the eighth straight Red Sox win, putting them at (8-1), the other an (8-7) Orioles win at the Yankees, manifests in Boston being 3 and a half games ahead of the Yankees. First, it is so early, but more to the point, Boston won the one eighth (there is that number again) “div” last year, only to lose in the “quarters” while the Yankees went to #7 ALCS, before losing to the eventual World Series winning, Houston Astros. Elsewhere, regarding New York and Boston sports, the Mets also have lost but one game and after sweeping the “Wash” Nationals, also have a three and a half game margin over the one eighth “div” favorite, Nationals. Early, of course, but I sensed it. Only the New Jersey, not New York, Devils among the New York area’s 5 winter sports teams, made the ‘offs. Meanwhile, though the Boston Bruins “blew up,” as three and a half to one faves vs the eliminated Florida Panthers last night, to fall to second in the division and conference, they are in the ‘offs. So are the Celtics, who lost as 5 or 6 to one “faves” (vs Atlanta), in the first of two tilts, each a setback for the Boston team in its building. Neither loss, I think, (certainly not the Celtics’ loss, their loss is the injury to Kyrie Irving) is that important. Chicago, at one distant pre wild card in baseball point, would have been “my kinda town” today, as both the Cubs (late home opener) and White Sox play day games today. Neither “Chi” winter sports team, the Blackhawks, for the first time in 10 years, or Bulls made the ‘offs. A tribute to Blackhawks’ great Stan Mikita, who sadly can not grasp it due to illness, in which his three grandsons skated, was nice and highlighted a disappointing Blackhawks’ season. However, three recent titles more than offsets, (in my opinion exponentially), this season’s failure to qualify for the NHL ‘offs, which begin Wednesday. 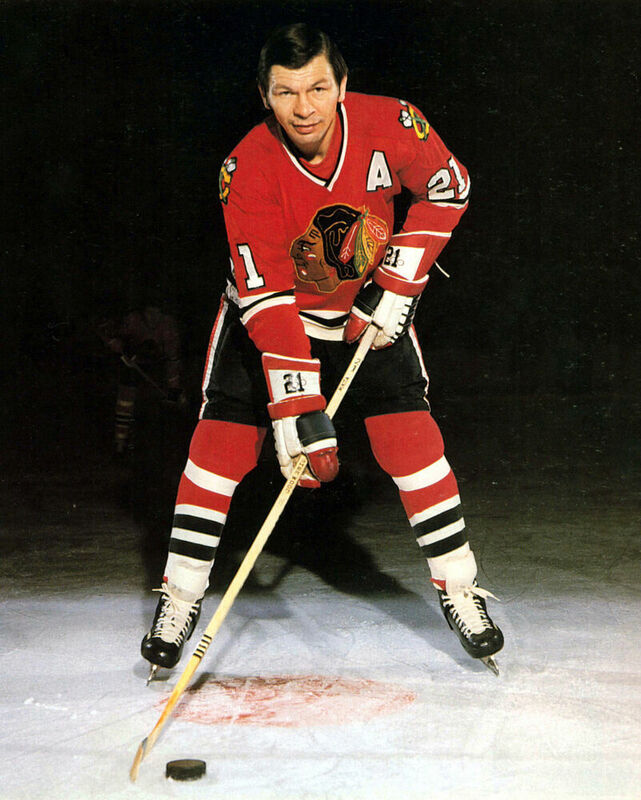 The great hockey player, Stan Mikita, pictured above. Click below to view Stan’s three grandsons skate in his honor.